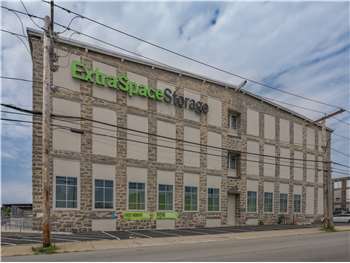 Located near the corner of Quequechan St and Warren St southwest of I-195, Extra Space Storage serves residents of Fall River. Locals will recognize our facility across from Walmart. 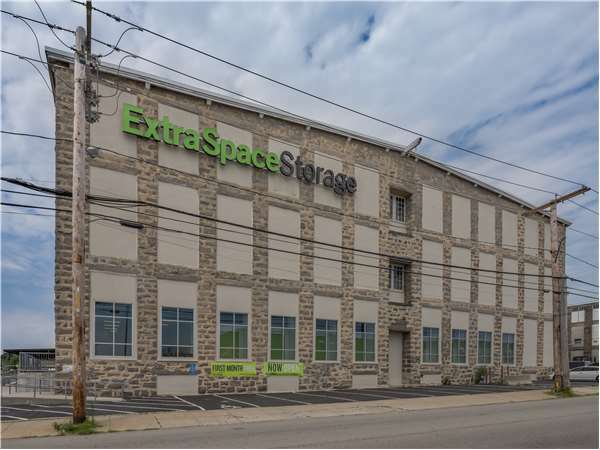 With a wide range of storage units, climate-controlled storage, and exceptional security, Extra Space Storage on Quequechan St is the storage partner you can trust in Fall River! 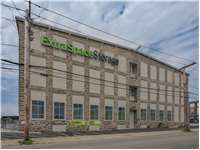 Whether your needs are residential and commercial, our Fall River storage facility has the perfect space for you! We have unit sizes as small as 5x5 to 10x30 with elevator access and more! We've equipped our Quequechan St storage facility with advanced security measures like 24-hour video surveillance and electronic gate access to ensure your valuable items are safe. Worried about storing sensitive belongings? Climate control keeps your storage unit comfortably between 55 and 80 degrees year-round, preventing damage caused by extreme heat and cold. Not only does Extra Space Storage provide reliable self storage, but we also have the best customer service in the business! Our friendly, professional staff goes the extra mile to ensure our facility is always clean, well-maintained, and secure. They're also available to help with whatever you need. Contact us today to reserve a storage unit in Fall River! Drive south on Quarry St. Turn right onto Quequechan St. Our facility will be on your right across from Walmart. Drive north on Jefferson St. Continue onto Quequechan St. Our facility will be immediately on your left across from Walmart. Drive west on I-195 W. Take Exit 8A. Merge onto Rte 24. Take Exit 2 for Brayton Ave/Eastern Ave. Turn left onto Brayton Ave. Turn right onto Jefferson St. Continue onto Quequechan St. Our facility will be immediately on your left across from Walmart. Drive southeast on I-195 E. Take Exit 8A. Merge onto Rte 24. Take Exit 2 for Brayton Ave/Eastern Ave. Turn left onto Brayton Ave. Turn right onto Jefferson St. Continue onto Quequechan St. Our facility will be immediately on your left across from Walmart.